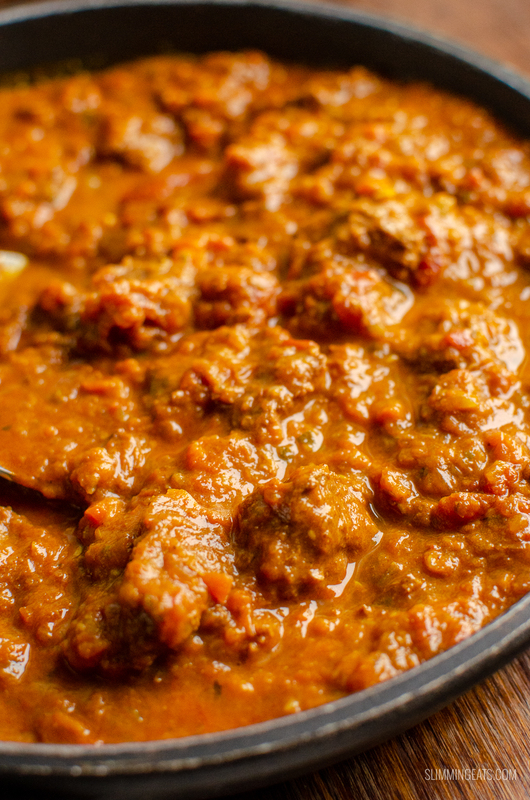 Heavenly Bombay Beef Curry – tender pieces of beef in a delicious aromatic curry sauce. 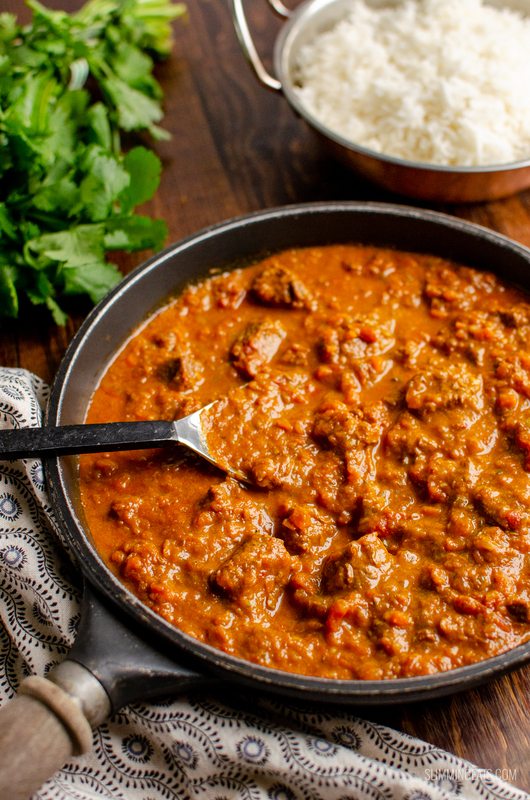 If this one curry you make from this site, make it this Bombay Beef Curry, it is seriously yummy and a dish that the whole family will sit down and enjoy. Delicious melt in your mouth piece of beef in a rich silky vegetable curry sauce with the slight creaminess from Coconut milk. It really is a winner when it comes to curry recipes. 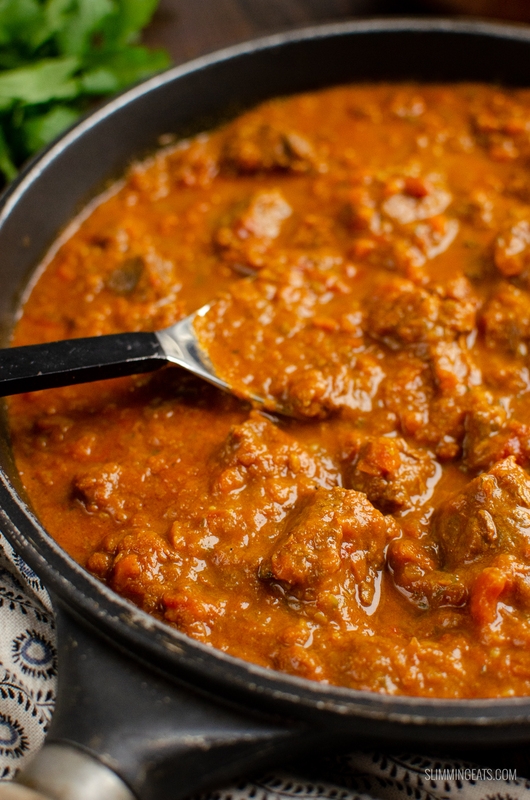 I do use a food processor for chopping up the vegetables for this Bombay Beef Curry, it helps to thicken the sauce as well as keeping the vegetables nice and small which is great if you have any fussy ones in your house. Feel free to chop by hand though too, a food processor is a bonus but not a necessity when it comes to this tasty recipe. 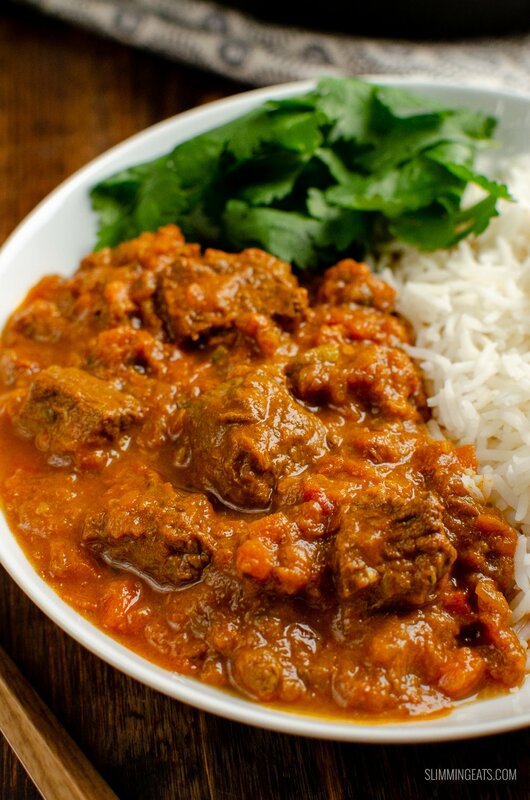 How can I add a 1/3 speed foods to this Bombay Beef Curry? 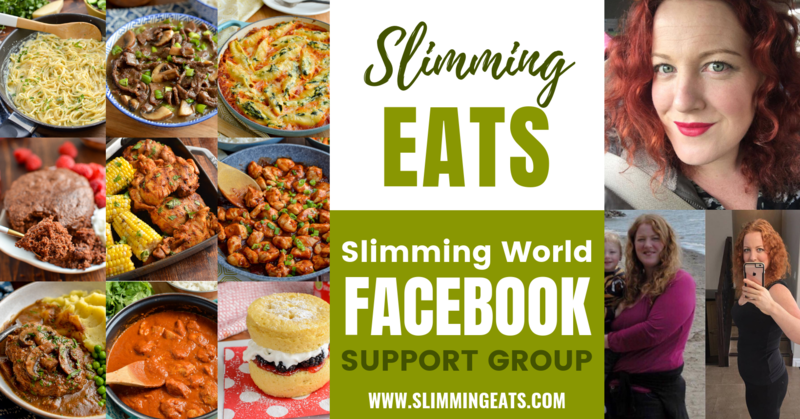 There are already some hidden vegetables in this Bombay Beef Curry such as finely chopped onion, carrots and zucchini which add lots of speed to this dish, but if you want to increase your speed foods even further or are doing a Slimming World SP day, how about serving alongside this Roasted Cauliflower Rice instead of regular rice – yum!! 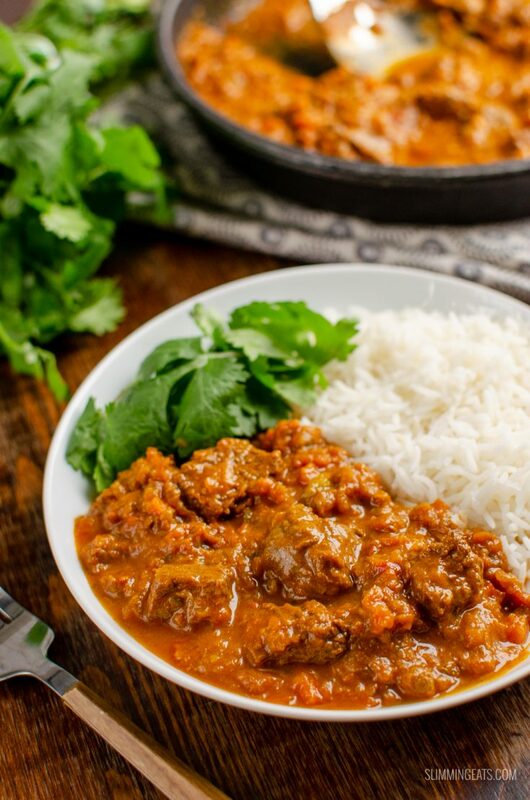 What Kitchen Items do I need to make this Bombay Beef Curry? Add the onion, garlic, carrot and ginger and fry for a few minutes until softened. Add in the beef, red chilli, spices and tomato paste and mix till well combined. Add zucchini to food processor and pulse until finely chopped (or finely chop by hand), add this in the pan. Stir to combine, bring to a boil, then cover and simmer for 1.5 hours until the meat is lovely and tender. Stir in the coconut milk until the sauce looks lovely and silky. Set instant pot to saute mode, spray inner pot with cooking oil spray. Add zucchini to food processor and pulse until finely chopped (or finely chop by hand), add this into the inner pan. Stir to make sure it is all combined. 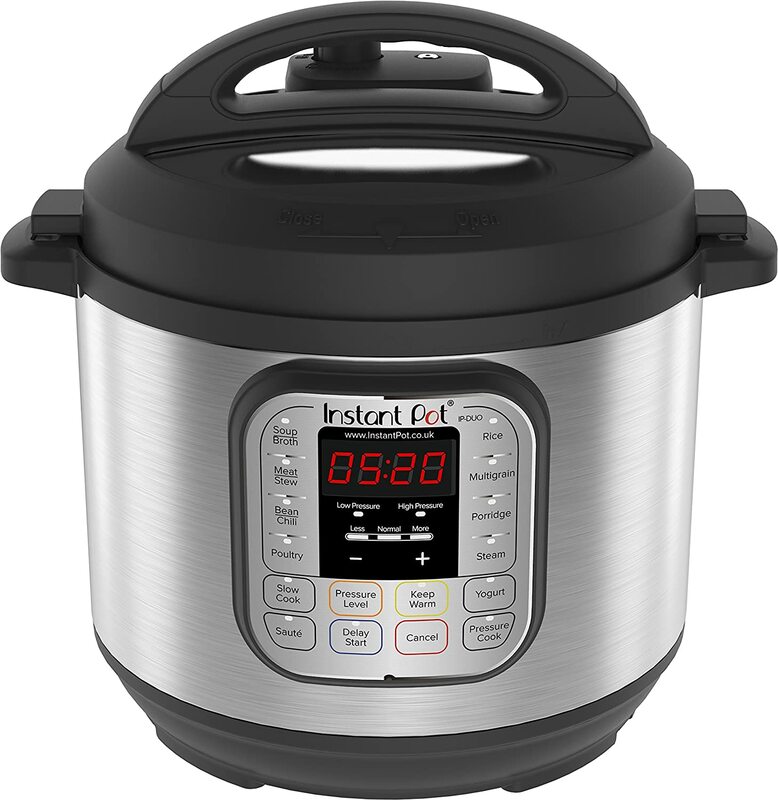 Add lid (close valve if not self sealing), set Instant Pot to manual high pressure for 20 minutes, and allow pressure to release naturally for 10 minutes, then release any remaining pressure. Remove lid and set Instant Pot to sauté mode, add in coconut milk and stir until sauce appears silky. Just had this for tea, it was very nice. I was tempted not to put the coconut milk in so that it was syn free, but I think the coconut milk made it. Can you make this in the slow cooker? And did you just have it on it’s own like a soup, or with rice? yes this will work well in a slow cooker. I did serve mine with rice, but you could serve it with any side you like. Enjoy!! thanks! Am going to make it this week! So I said to the husband one Friday night, Chinese or Indian tomorrow night? He said he fancied a lamb rogan Josh. So I got on slimming eats looking for a lamb curry. Into the slow cooker it went Saturday morning and Saturday night was curry night! Happy husband! Wow! Seriously so simple and so amazing! Hi Siobahn, what do you do with the leftover coconut milk..it seems such a waste to just throw it away..